Is your Church or Ministry recording video or audio? Do you wish to take your recording from tape to CD? Are you looking for a way to deliver live-event recordings to your congregants right after your service? If so, let Media Supply help you. We have worked with many religious organizations, from community chapels to national based programs, helping find the right tools to deliver their message. We have recorders, printers, and a full line of manual and automated copiers. Click here to read an informative article. Call us at 800-944-4237 for more information. 3 Simple Steps to Manufacturing your own CDs: RECORD - PRINT - BURN! Step 1 RECORD: Live Event Recorders: The first step in taking your recording from a live source or tape to a CD is making your master. Easily create your CD master with these recorders, from a live source or from a blank tape. These recorders will create a high quality master from your churches' sermons and music. Step 2 PRINT: Printing to your blank discs - By pre-printing your discs you can be ready to copy them quickly, right after the completion of your live event. We have automated and manual feed printers, with plenty of options to fit your budget. Media Supply can also preprint your CDs for you using our Digital Printing System.Media Supply has CD printing solutions that will fit any budget, and meet any quality requirement. We have quality inkjet printers that deliver brilliant color at a low price, and thermal printers that offer durable, quick printing. Media Supply also can preprint your discs so you can add date or version info later using a thermal printer. These low cost printers offer a low volume, inexpensive solution. These printers offer a clean, crisp thermal print, available in monochrome or color. 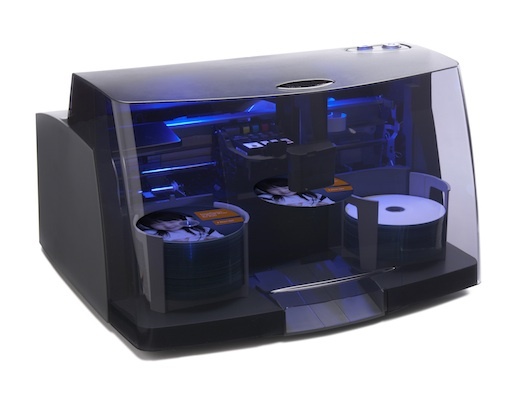 Step 3: BURN - Copy your CDs onsite, fast, with a high-speed CD tower. 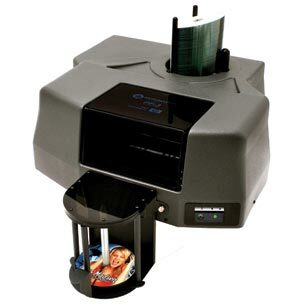 Once you have your master, and all your discs are pre-printed, you are ready to make copies of your live event. These towers are the fastest way to get your discs copied. All these towers feature 52x recorders, and are available in configurations up to 16 drives. Burning a full disc at 52x takes about 2.5 minutes, so you're recording over 300 discs in less than one hour! Media Supply recommends burning your copies on a cd tower if you plan on distributing your disc right after your sermon. It's the fastest way to make lots of copies in a hurry. We have many tower options, including rackmount multi-disc recorders.